Sole contributor and primary client contact. 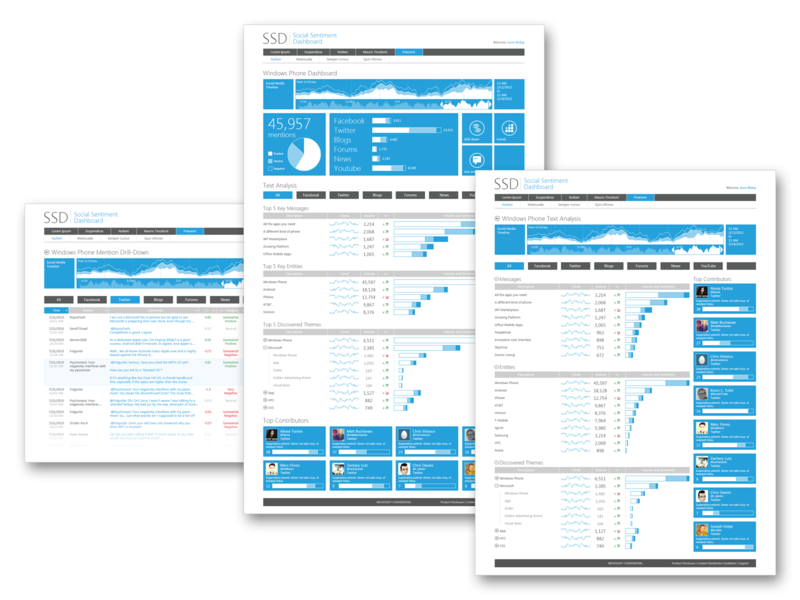 Facing a tight deadline, the CMG needed a Modern take on consuming social sentiment data. With the upcoming Windows 8 release only months away, they needed a solution that embraced the principles of Modern design, without adhering to the design limitations of the Windows Store Apps. 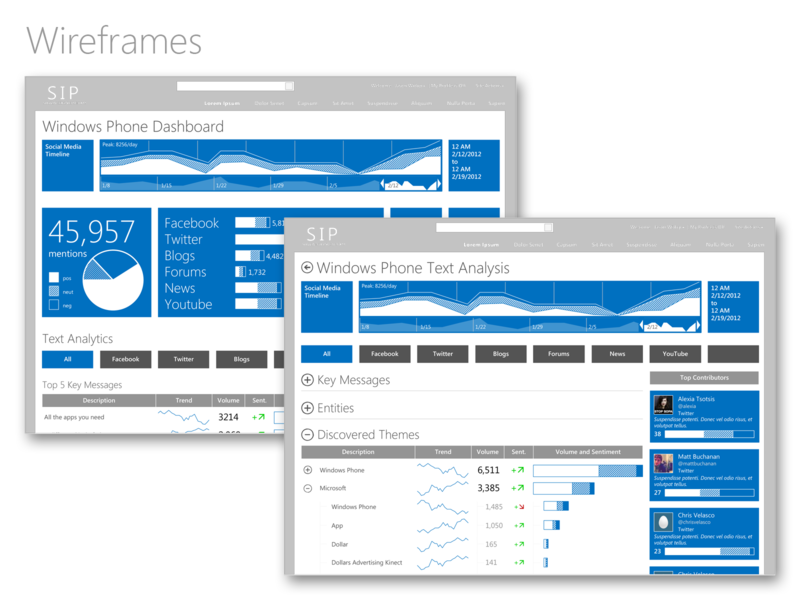 The new design was influential among the internal BI teams at Microsoft, with several teams adopting both the style and the approach to informationÂ disclosure. The success of this project lead to several new contracts, and contributed to the new direction of BI in the Global Marketing Organization. Because this was initially a conceptual engagement, and time was short, an accelerated presumptive design process was used. Through 3 intensive workshops with key stakeholders, the concept and requirements for this entirely new set of reports were defined in less than a week. 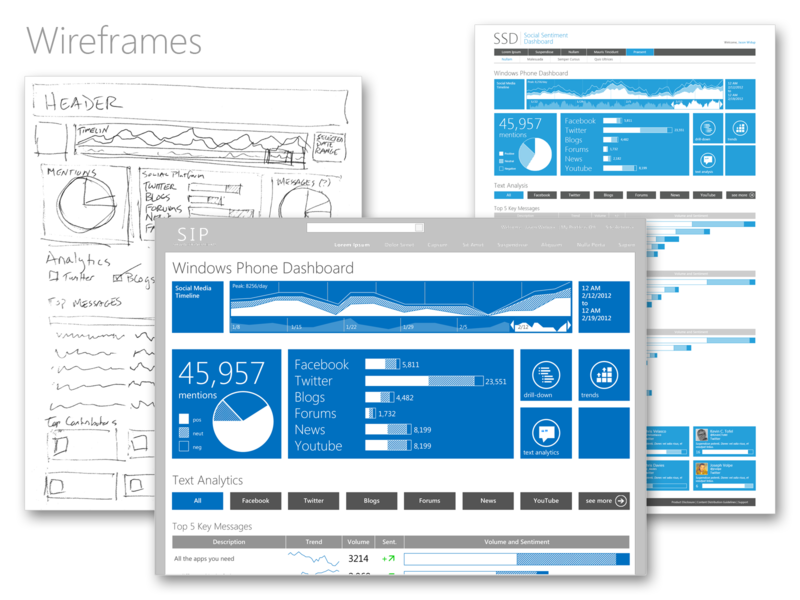 After multiple rounds of wireframes, the final comps were delivered a week later. While it was always the intent to fully validate the design before releasing the specifications to development, there were very few changes between the final comps and the pages in production. 2016 © Chris McQuistin. All rights reserved.